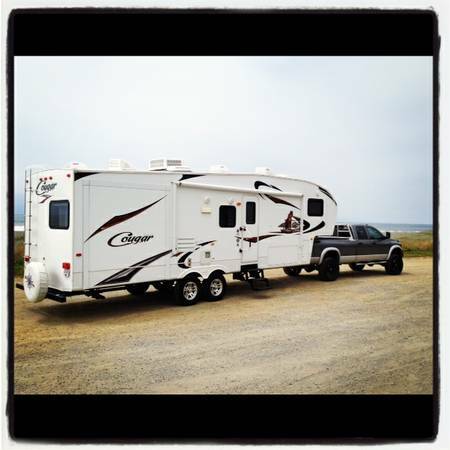 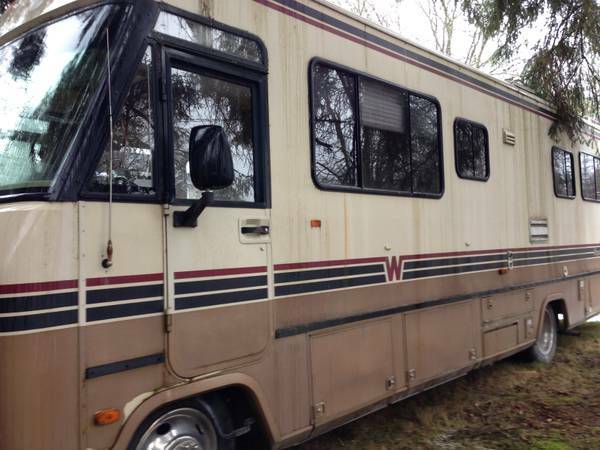 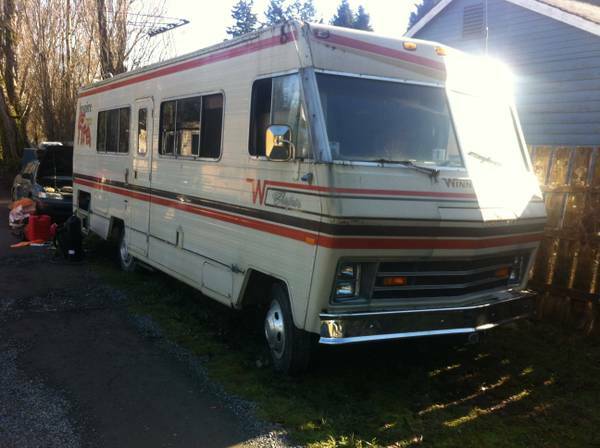 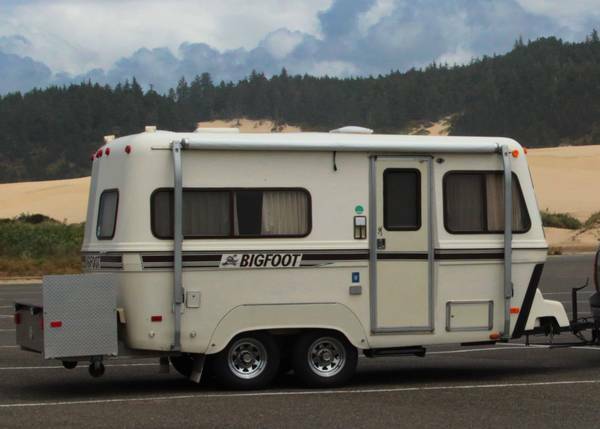 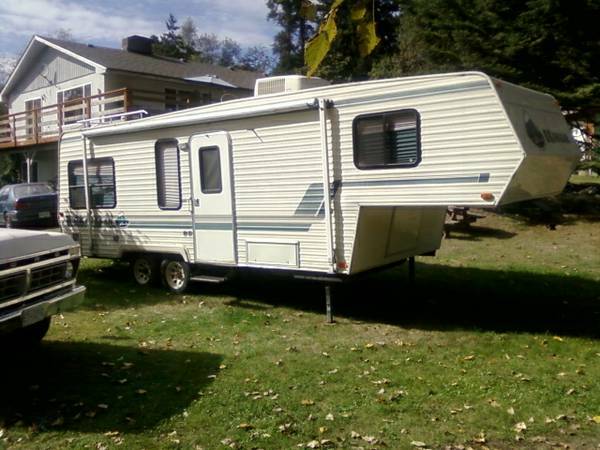 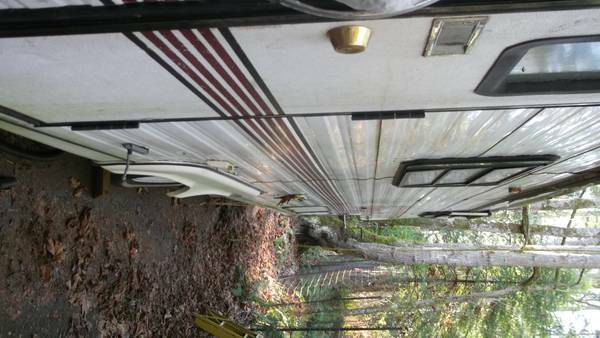 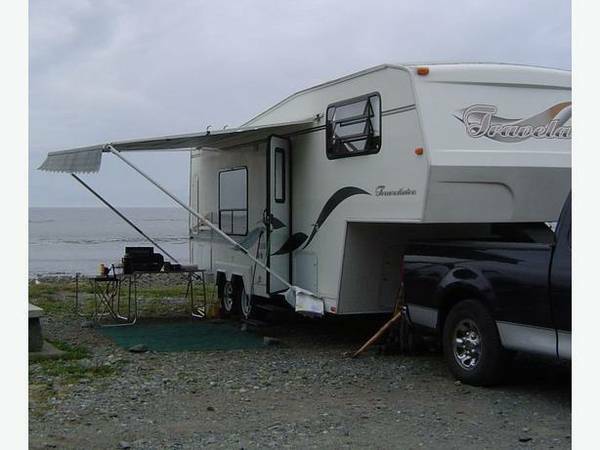 Full Size Camper, Bathroom with toilet, Stove, Furnace, 3 Way Fridge. 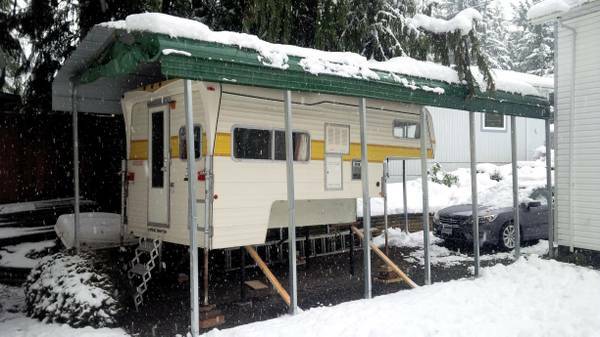 Sleeps 4 - 5. 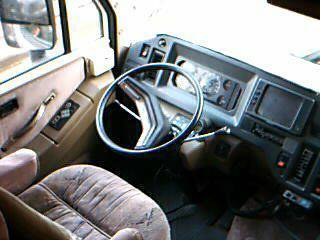 Has One piece Fibreglass Roof. 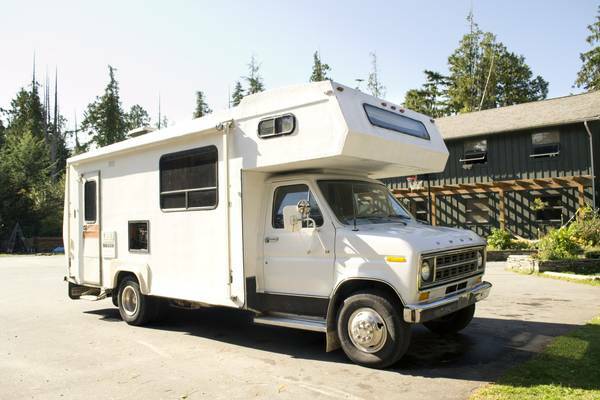 Good shape, very clean. 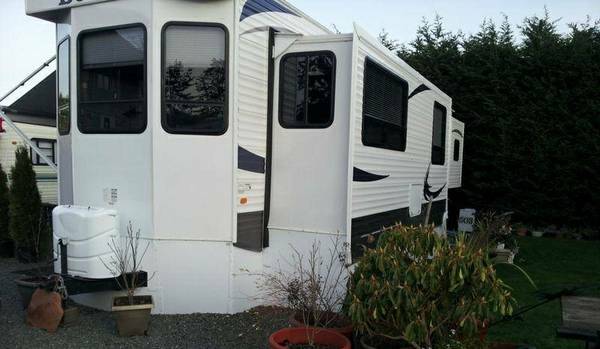 Fifth wheel with slide out , it does need some work but still quite live able. 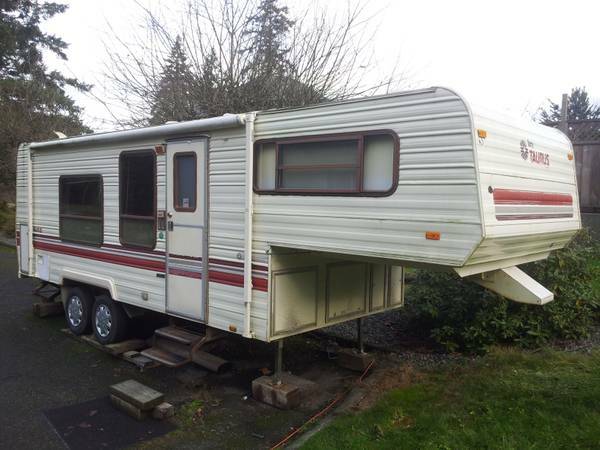 Needs 2 interior support beams and some minor stuff. 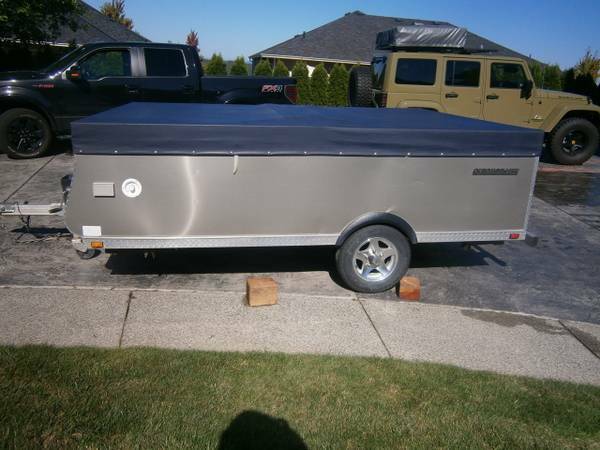 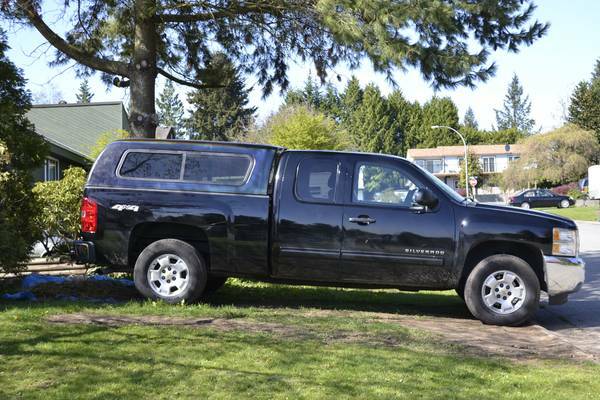 $1700 Please phone 250-893-8552.